Chicago Department of Cultural Affairs and Special Events present Little Shop of Horrors on Saturday, Oct. 31st at 6:30pm at Millennium Park, Jay Pritzker Pavilion, 201 E. Randolph St. The event is free admission. 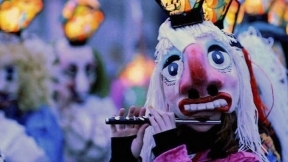 The Halloween Gathering on the Chicago Cultural Mile will take place on October 24th and will bring together Chicago’s vast and diverse creative community in a parade filled with large-scale spectacle, music, and performances. The event is free. For more information, visit www.chicagoculturalmile.org. Pilsen-based Redmoon will host Skelebration on October 30th and Boneshaker on October 31st. Both shows will provide over the top theatrics replete with inventive machines and contraptions. Both events are 21+. To learn more, visit www.redmoon.org. 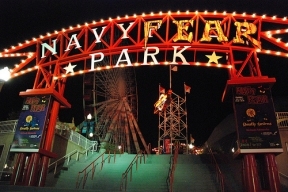 Navy Pier will host Halloween at Navy Pier, October 23-25, 30-31. 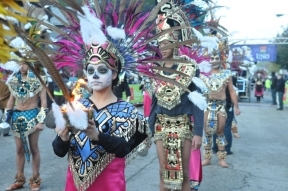 Lakeview will kick off its 18th annual Northalsted Halloween Parade on the streets of Boystown. Visit northalsted.com for more information. National Museum of Mexican Art currently showcases Day of the Dead at NMMA taking place through December 13th. The exhibit is free and features 13 ofrendas and 116 art pieces from more than 90 artists. United Neighborhood Organization will host their annual Carrera de los Muertos Run/Walk on Saturday, Oct. 31st. For more information, visit www.unoraceofthedead.org.